In a treasure trove books on Christology (secondary theological reflection) we have densely packed pages reflection on the of Jesus and what it means to say He is the Christ. It seems to me that the theological and spiritual questions and research have to be re-oriented. What if we reflect on what Jesus says in the Gospels, and how he acts? Jesus asks Peter, “Who do you say I am?” AND NOT “Who do the theologians say that I am?” Jesus does not ask us what Fr. John Meyendorff or Fr. Alexander Schmemann, or Sr. Vassa Larin or NT Wright, or Fr. Hans Urs von Balthasar thought. Knowing about Jesus is different than knowing Jesus. As to Peter so to us: “Who do you say that I am?”, a question that demands our own personal response based on our own personal experience of Jesus in prayer, divine Liturgy, Lectio Divina, and his subtle yet very real, mysterious presence in everyday life. Theological reflection, first and second levels, are critical in having a comprehensive view of who Jesus Christ is. The personal encounter is a aided and challenged by theological reflection so as to keep us honest and correct. In today’s world we are tempted to think that any experience and any book is orthodox, that is, without error. We know by reason, however, this is incorrect. Knowing Jesus and not merely about Jesus is experienced with several contexts: worship (adoration), personal conversion, a communal life and works of charity; you can think of these points as pillars: prayer, study, community, and service. Truth is symphonic and verifiable. Book knowledge is useful but it is useless unless we are led us into a deeper relationship, a deeper engagement with Jesus. Otherwise, valuable space in the brain is wasted. Jesus’ death on the cross was a sacrifice of expiation; it makes us understand both the gravity of sin as a rebellion against God and a rejection of his love, and the marvelous saving work of Christ which was offered humanity and which has restored us to grace and therefore to participation in God’s Trinitarian life and to the inheritance of eternal happiness. Jesus’ passion and death on the cross give us the true and definitive meaning of life where the redemption is already realized in the perspective of eternity. Just as Christ is risen, so too we will rise in glory, if we have accepted his message and mission. One of St. John’s favorite words is the Greek verb menos which is usually translated as “abide” or “remain” or “continue.” He uses this word more than all other New Testament writers together and it is one of the richest words in his theological vocabulary. When he uses this word in reference to a person, it suggests a deeply personal and constant union. It would thus be contrasted with a contact that may be intense but which soon fades and has no lasting effect. To abide in Jesus is to be attached to him in such a way that life would seem impossible without him; Abide in me as I abide in you. Just as the branch cannot bear fruit by itself unless it abides in the vine, neither can you unless abide in me (15:4). To be detached from Jesus is to live a shadow life that has no real meaning and benefits no one in a permanent way It is a waste of precious time. 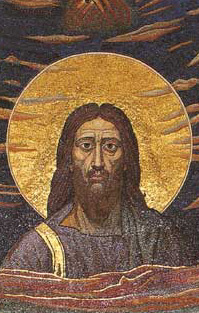 I saw a bumper sticker several years ago that read: “Preaching Jesus Christ since 33 A.D.” One of the Orthodox Churches published it as a way of saying that truth, beauty, goodness and unity are given by Jesus Christ; Christ and the church is not a system of beliefs or policies created at-will. Read carefully the image here. There is always the perennial question about following Christ in the Catholic Church: Why does it matter if you leave the Catholic Church? Does it matter if I stay in the Church? 5. the power to forgive sins was given by Christ to Peter and Peter to those anointed to share in his ministry down through the ages (apostolic succession, it is called); we follow the Master in the unity and sacramentality of the Church. 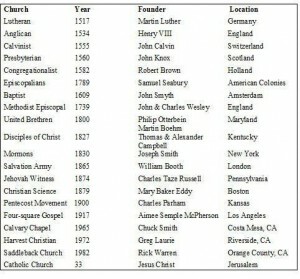 Hence, he Catholic Church, was founded by Jesus and she contains the fullness of truth, as promised by Jesus Himself. 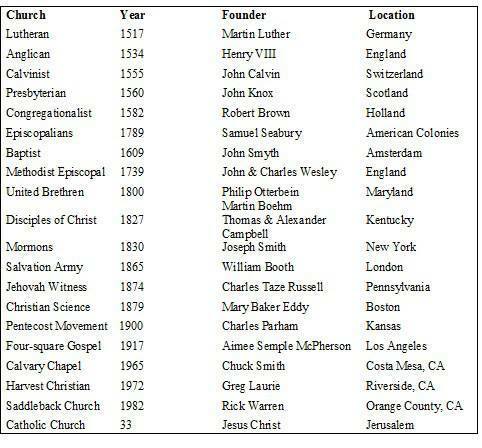 The Church is not merely one among many denominations. The Holy Spirit does not divide the truth; there are not personal versions of the truth that claim to set man and woman free. We believe in the objectivity of truth and this truth is not a thing, but a person. There is one Church only: the Catholic Church. In the USA we encounter many groups who claim to be a “church” and to have the fullness of truth. Yet, the question needs to be raised: what do we think of the Protestant groups? The teaching of the Catholic states that each of the groups have some aspect of truth but they do not have the fullness of the truth as revealed by Scripture because they lack valid priesthood and therefore valid sacraments (very few have 7 sacraments that are believed to be instituted by Christ to give grace). As a caveat, we teach and hold that the Orthodox Church has the fullness of truth and sacraments but it lacks true unity with the Body of Christ on earth. One day we will share the Holy Eucharist with the Orthodox. Catholics are not perfect and they are certainly not holier than other Christians. We are a church of sinners seeking redemption in Christ Jesus. Our belief is that the Catholic Church is both human and divine. And because she shares in Christ’s divinity, it is holy and she will last forever (“I am with you always, to the close of the age.” Matthew 28:19-20). The human side of the church explains the sins, the scandals, unfaithfulness of the people. Logically, though, you cannot claim that the presence of scandals and singer prove that the Catholic Church is false. It proves we need a Savior. Considering the Christian ecclesial communities and churches, historically we can say that ONLY the Catholic Church existed since the time of Jesus. All other Christian churches have broken from the Catholic Church. Examples: Orthodoxy broke away from unity with the pope in 1054; various mainline Protestant communities were established during the Reformation (1517); and then many of the other smaller groups are breakaways from the Protestant communion. It is recorded that Church history has lead many unbelievers to search and know the truth. History will demonstrate what the early Church believed about the Eucharist (the Real Presence of Christ in the Eucharist); how and why the early Christians prayed for the dead; what the Lord gave to the Apostles in terms of sacraments; Peter was clearly chosen by the Lord as the leader of His Church; that Mary was loved and honored by the early Christians and understood as the All-holy Mother of God.